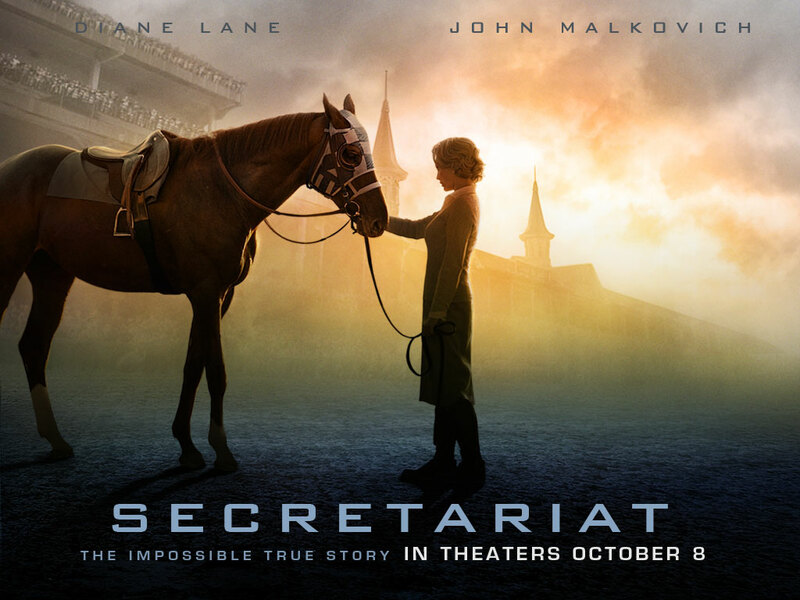 NOVEL CHATTER: "Secretariat" is a winner!" This stunning film plays like the champion Secretariat is. Long on struggle and triumph for Secretariat owner Penny Chenery Tweedy, Penny saw the potential in a horse she believed in before he was born. Penny juggled a family in Colorado while managing, training and racing Secretariat in Virginia. Conflict arises when she’s forced to fight her brother and husband to keep Secretariat from being sold to the highest bidder for taxes…all while being talked down to for being only a housewife. Remember folks this was the early 1970's when being a woman owner of anything wasn't easy, especially a woman who owned a racehorse. "Secretariat" director Randall Wallace perfectly captured the vital trusting bond that existed between Secretariat and Penny Chenery. Diane Lane's portrayal of Penny Chenery Tweedy is so simple and pristine you forget she’s acting. That’s no easy feat as this role could have easily become a hankie twisting screamer John Malkovich as legendary trainer Lucien Laurin is perfectly quirky in a showcase role. But I think Nelsan Ellis as Secretariat’s groom Eddie Sweat is a stand out in a quiet elegant performance that shouldn’t go unnoticed during award season. Secretariat still holds the record that he set in at Belmont in 1973. It was lovely to see the real life Penny Chenery in a well placed cameo spot during the Belmont race finish. Look for Penny standing next to Hollis Chenery (played by Dylan Baker) as she reacts to Secretariat winning the Triple Crown in the film. I really liked this movie, it’s not perfect, but this family friendly Disney movie has the heart and soul of a triple crown winner. I hope we see that recognized at awards season. In the meantime, take the family to see this movie. Love it for its beauty and simplicity. Like it for the fun of it. Is there a book connection? You bet there is, Secretariat was suggested by William Nack 's Secretariat: The Making of a Champion. Review source: I was offered the opportunity to attend a screening held by the promotional company for this film at my request and my presence there in no way affected my fair and honest review.